Prior to John Glenn’s historic flight circling the earth as the first person in orbit, something went wrong in the planning which required new landing coordinates to be calculated. 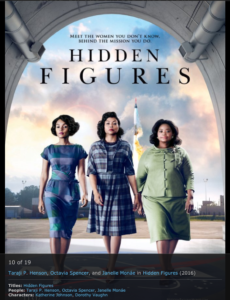 Glenn asked NASA control to “have the girl check the numbers.” He was referring to Katherine Johnson (Taraji Henson) in this fascinating movie about the little known story of the role that black women played in the space program. The setting was the early 1960s. There were still “for colored only” bathrooms in the NASA Government facility in Virginia. A group of bright, black women mathematicians were working in a segregated office doing work, supporting the program. Another one of these women was Dorothy Vaughn (Octavia Spencer) who was initially a supervisor in name only and deserved to be officially promoted to that position. Another black woman in this story was Mary Jackson (Janelle Monae) who despite being a recognized mathematician in the space program had to fight to be able to take some courses to qualify in order to get an advanced degree. At the end of the film, we learned that she ultimately became one of the top engineers in the NASA program. We also learned that Katherine Johnson at the age of 96 recently received the presidential medal of freedom for all her groundbreaking work at NASA. So much credit deserves to go to Allison Schroeder and Theodore Melfi co-produces, who became aware of this story due to a book by Margot Lee Shetterly of the unknown situation where black women were excluded from positions which they deserved to hold in the NASA program. Fox Studios ultimately took on the movie and Theodore Melfi directed his vision of the story which was quite on target. The cast was magnificent. In addition to the three women mentioned above, special credit should be given to Kevin Costner who played Harrison, the guy who ran the space program and headed up all the stuff at NASA that made things fly. We recall a cigar chomping Jim Webb who most probably this character was based on. There were also excellent performances by Kirsten Dunst, Aldis Hodge, Mahershala Ali, and Jim Parsons. As you may know, Amy Winehouse came from a Jewish middle class family in England and became a world famous singer. She died of alcohol and drug use at the age of 27. This documentary film directed by Asif Kapala uses archival film and narrations by people who knew her. We see her as a four or five-year-old girl seemingly independent with a mind of her own which was characteristic of her as she got older. She was confident in her singing as well as in her writing lyrics and she brought to life the words that she wrote which described her life and world around her. We really were not shown enough to understand her family dynamics. Her parents divorced when she was 10 years old and her father was shown trying to control her career and her mother seemed to be a loving woman in the background. While her music was meaningful to a very large audience, her personal relationships seemed quite troubled. Blake, her boyfriend, then husband and then ex-husband who also spent a few years in jail, brought her deeper into drugs as she got older. 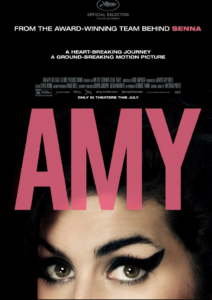 Amy was an interesting young woman who had a meteoric rise and then fall. However, we are not really provided with in-depth interviews of the significant players in her life. Perhaps some future biography will provide this. The film, of course, was mostly in a foreign language (British English). Subtitles were frequently provided especially when she sang but not all the time. So occasionally, we would not know what was being said on the screen. August Wilson is a Pulitzer Prize winning playwright who died in 2005 at the age of 60. 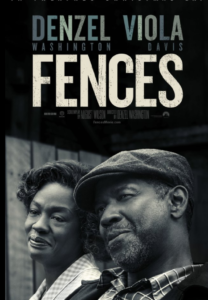 He originally wrote Fences for the stage. Wilson had an unusual propensity for capturing accent and dialogue in all his plays. In 1987, James Earl Jones starred in Fences on the Broadway stage where it won a Tony Award. It was more recently recreated on Broadway and received critical acclaim starring Denzel Washington, Viola Davis and much of the same cast that now appears in this movie. August Wilson wrote the screenplay for this movie, but died before it could be brought to fruition as a movie. It was Denzel Washington who persisted and connected with Scott Rudin to produce this movie which he directed and co-starred with Viola Davis, and were joined by some of the other actors who played their parts on the stage. This movie makes the statement that Los Angeles is where dreams are made and are broken and yet it is the city where anything can happen. This is a movie in the tradition of Gene Kelly, Fred Astaire, Ginger Rogers, Cyd Charisse and reflects so many great musicals of the past that have come across the silver screen. Emma Stone is Mia, a young woman who works in a coffee shop on a big movie lot and aspires to be an actress. So many times she seems to be just one audition callback away from starting on the road to her dreams. 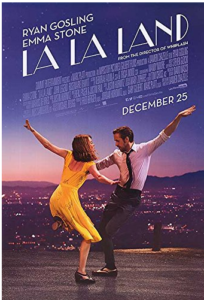 Ryan Gosling is Sebastian, a musician who masterfully plays piano and keyboard and could be a great modern musician but he really favors old-fashioned jazz. He would prefer the music that was played in small clubs in days gone bye where each session was a creative story onto itself. This movie is filled with great music. The characters break into dance and song quite spontaneously and, believe it or not, there is nothing that seems unnatural as they glide or tap across the screen singing and swaying with each other. Despite some stereotypical dialogue, you will get drawn into the storyline quite easily. We can just about guarantee that while at times you may not be sure if you are watching a dream unfold, the story will touch you and probably bring tears to your eyes. This film is very effective as it smoothly slides the viewer into the mind of a 17-year-old high school girl. We appreciate her desire for friends, perhaps being sensitized by some childhood experiences of being bullied. Then there were other potential conflictual events that can happen in any teenager’s life in high school. 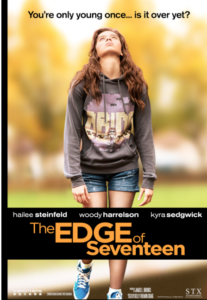 But as much as the audience was getting a feel of this life stage and perhaps being reminded of their own individual experiences, this movie inevitably became the story of this one girl, Nadine (Hailee Steinfeld), and how she had to deal growing up with a “perfect” older brother (Blake Jenner) and a far from perfect mother (Kyra Sedgwick) as well as all the events that transpired during her 17 years of life. As any therapist can tell you, there is no truly typical teenage girl. We are all a function of our family dynamics and subsequent conflicts and fantasies. We all emerge from this life stage with varying degrees of subsequent mental stability which will then influence the next generation. Sometimes an experience in therapy will help unravel the painful missteps and unpredictable events that occur as we attempt to navigate this life stage. In addition to now being a TV network, NetFlix still offers subscribers the ability to reach into the past and request a DVD of a movie or an online play which we may have missed when it came out, or is about a subject that has great appeal to us. SB has always been a lover of ballet and all dance, so she pulled the trigger on this one. We both were not disappointed with this 16-year old film about the audition process to be chosen as a dancer to a topnotch ballet company. The setting is New York City, and any New Yorker will immediately recognize the streets surrounding Lincoln Center, where the American Ballet Theatre has its home. Ballet stars start at a young age and most of the young faces in this film may not be out of their late teens. 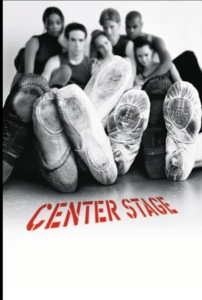 The storyline shows each aspiring dancer, male and female, having their own personality and their individual story. Some of the conflicts may be predictable and familiar, but they held our interest and drew us closer to the characters. However, the star of this film was the great dancing of this ensemble and the outstanding choreography. In 1974, Robert Redford portrayed Bob Woodward, a journalist in the movie All the President’s Men who along with another journalist Carl Bernstein exposed the Watergate scandal which led to the resignation of President Richard Nixon. 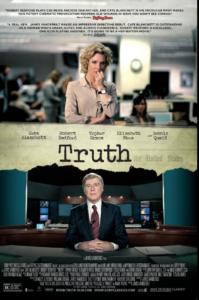 Now forty years later, Redford takes on the role of famed TV journalist, 60 Minutes host and CBS anchor Dan Rather in a movie that tells a story of an expose about President Bush that led to “hot water” for Dan Rather and his hotshot producer, Mary Mapes (Cate Blanchett). Both films show the inside exciting, pulse throbbing workings of a top grade news team in pursuit of a major news story that has the potential to destroy a United States President. The title Truth says it all. Rather and his team not only have to find the truth, but they have to be prepared to prove that it is the truth. The opposing side who cross-examined them turns out to be the other TV networks who are eager to bring down the prestigious famed CBS news team. Also on their backs are CBS top executives themselves who feel they can’t take any chances with a story unless all the facts are perfect. The term “beyond a doubt” was never used in this movie, but really this is what it was all about. The screenplay writer and the first time director is James Vanderbilt. The story is based on a book by Mary Mapes, the award winning lead investigative reporter and producer for the famed 60 Minutes TV show. Her portrayal by Blanchett is riveting and there are excellent supporting roles by Dennis Quaid, Elisabeth Moss, Topher Grace, Stacy Keach and Bruce Greenwood. Your comments are welcome on any review published in this blog and will be posted after a brief time lag. This is a beautiful story based on real life that will deeply move many people and it would not surprise us if it is an award contender. Therefore we don’t want to discourage potential viewers, but we thought it could have been done much better and shorter. It is the story of a young Indian boy living in one of many poverty-stricken areas of India who joins his older brother on a late night adventure as they set out to try to make a few rupeess doing child labor tasks. He gets lost and separated from his brother ultimately falling asleep on a train ending up a couple of thousand miles away from his mother. The plight of Saroo is poignant enough by itself but the appeal of this young child played by a young Indian boy Sunny Pawar, who was chosen for the part over thousands of children, emotionally draws in the viewer. Saroo is ultimately adopted by a loving Australian couple (Nicole Kidman and David Wenham) which is the equivalent of winning the lottery. Fast forward about 25 years into the future and this now young man (Dev Patel of Slumdog Millionaire fame) is having flashbacks of his childhood which are preventing him from moving forward with his life. 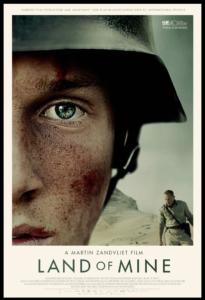 The problem with the movie is that there was no fast forward but rather many long drawn-out scenes often showing countryside, trains winding through mountains, maps with pins in it and attempted reconstruction by the now young man as he tries to figure out where he left his mother and brother. There are endless views of Google Earth as Saroo now tries to reconcile his childhood memories and find the place where he came from. 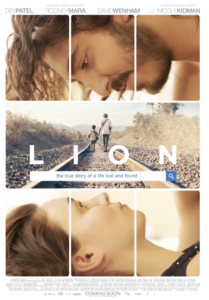 We meet a second child adopted by the Australian parents who we really don’t get to know very much about nor do we understand Saroo’s relationship with his girlfriend Lucy (Rooney Mara), who seems lovely but we get no insight into what makes them tick as a couple since Saroo is now preoccupied with finding his birth mother and of course doesn’t want to hurt his loving parents who raised him. This is an exciting and engrossing drama about the dark world of government lobbying. Just as James Bond is not based on a real-life character, it is possible that some version of Mr. Bond or Ms. Sloane’s story might really have occurred. In the case of this movie, we are given a view of what could happen when high-powered lobbying firms are hired to battle over pending government legislation on gun control. Would it surprise you to learn that perhaps in such a situation “anything goes”? 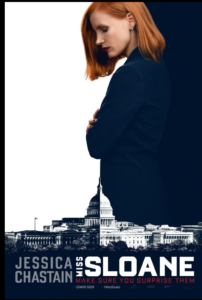 We meet a very determined, perhaps brilliant woman, Madeline Sloane (Jessica Chastain) who not only desperately wants to see her client triumph with winning legislation but will do just about anything to get the United States Senate votes needed to accomplish her goal. As is the case with any good movie, there are twists and turns that you will not see coming but which will add to your appreciation of the film. There are some excellent performances by Mark Strong, Gugu Mbatha-Raw, Alison Pill, Michael Stuhlbarg, Sam Waterston and John Lithgow. However, the main focus is on Jessica Chastain and she certainly does deliver. We heard that this actress met with a dozen female lobbyists in preparation for this part and picked their brains to master this role. She also copied their black nail polish that several of them did use. We were certainly mesmerized by this character but being students of psychic determinism, we would have liked more insight into the background that made Ms. Sloane tick. The story behind the making of this movie is quite intriguing. We met the screen writer who created the story. This is Jonathan Perera who graduated law school in England and after working for a few years as an attorney to pay his school debts, he took a job teaching English in China and then in Korea for a total of two years. It was in this somewhat isolated setting on his own, he conceived and wrote this, his first script which was picked up and set up to be made into this major movie directed by veteran filmmaker, John Madden. This is a remarkable accomplishment and we expect to see many more films by this talented writer. The film is two hours and 12 minutes but time will fly which is the sign of a very good movie, (2016).